Coughs can be irritating and disrupt your daily life. 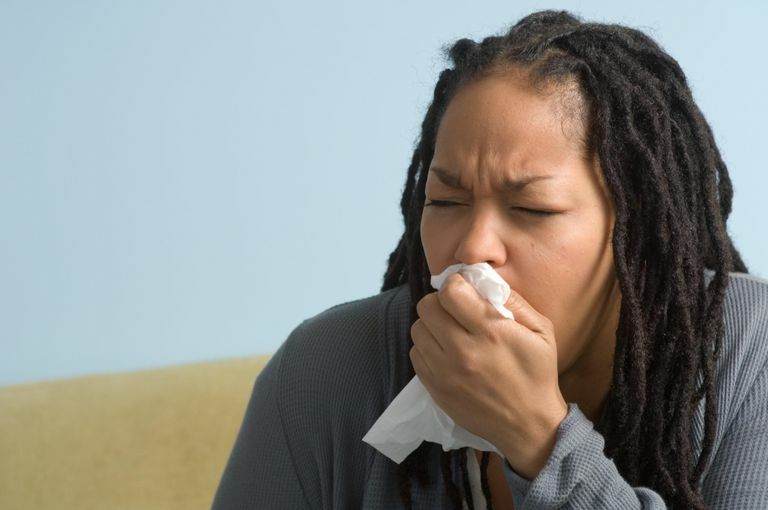 Although they can be caused by many things, coughs that are caused by respiratory infections such as colds and the flu generally only last for about a week, maybe two. If you are dealing with a cough that lasts much longer than that, contact your healthcare provider. You may need to treat the underlying cause of a cough (such as pneumonia or bronchitis) instead of just trying to get relief from the symptom. If you are looking for relief from your illness-induced cough, we have some options that may help. These medications are intended to provide relief by suppressing the reflex that causes a cough. However, very little research has been done to prove that these medications actually provide any benefit and they do have side effects. Most clinical trials involving cough suppressants have shown that they are not any more effective than doing nothing at all. Expectorants are different than cough suppressants because they don’t stop coughs. They thin secretions so mucus drains and is coughed up more easily. Unlike cough suppressants, these medications have been proven in clinical studies to decrease secretions, which could reduce the amount of coughing you have to deal with. Prescription-strength cough suppressants are used to relieve coughs that are so severe that they interrupt daily activities (usually sleep) and over the counter products are not effective. Most prescription cough medications include codeine, which is a narcotic. However, even these medications have not been proven extremely effective and cause even more side effects and come with more risks than over the counter products. When you are sick with an upper respiratory illness, using a humidifier can help relieve many of the symptoms you are dealing with. It puts extra moisture in the air, reducing irritation from dry air that can bother already sore throats and uncomfortable nasal passages. Although using a humidifier won't make your cough go away, it could help reduce the irritation in your airways, meaning you may cough less frequently. In recent studies, honey has shown to be more effective than over the counter cough medications at relieving coughs, especially in children. Just a spoonful of honey can coat the throat and calm a cough, at least periodically. However, honey should never be given to a child under 12 months old. It contains botulism spores, which are not harmful to adults but can lead to botulism poisoning in children under a year old. Throat lozenges or cough drops containing menthol may help relieve coughs temporarily. Menthol acts as a mild anesthetic and can reduce the need to cough. If you are dealing with a bothersome cough that is caused by a minor illness, these tricks may help you get some temporary relief. But it is important to remember that coughs are actually a good thing. Although they are irritating, they help us because they help eliminate extra mucus from our airways and prevent it from getting trapped in the lungs and leading to more serious illnesses like pneumonia. If your cough lingers for more than a few weeks or if it changes significantly, contact your healthcare provider to determine if you need a different type of treatment. Although most coughs resolve on their own, some are more serious and need to be investigated further. Paul IM1, Beiler J, McMonagle A, Shaffer ML, Duda L, Berlin CM Jr. Effect of honey, dextromethorphan, and no treatment on nocturnal cough and sleep quality for coughing children and their parents. Arch Pediatr Adolesc Med. 2007 Dec;161(12):1140-6. 17 Jul 14. Do Cough Remedies Work? Ask The Pharmacists 03 May 13. Medscape. 17 Jul 14.